100 % cotton single jersey 150 g / m2. Does not contain synthetic fibers. 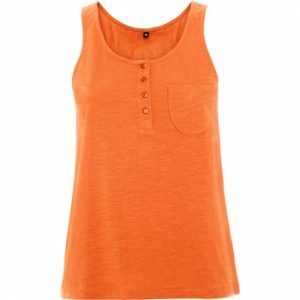 Women’s tank top MAHILA. Suitable both for promotional campaigns as well as sportswear or work clothing. High quality T-shirt made from cotton single jersey – extremely soft in touch. T-shirt suitable for printing. MAHILA has removable tag, so you can design your own clothing line.